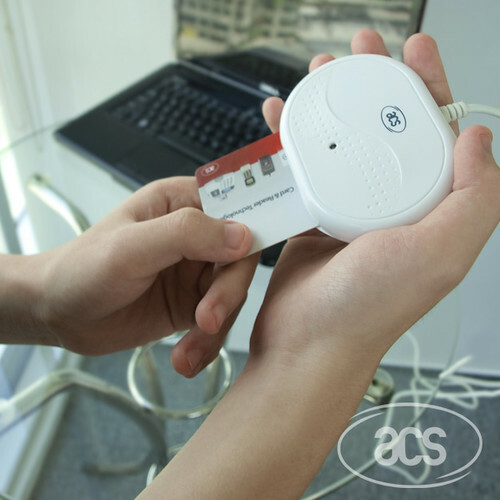 Developed based on the latest technology, it supports CAC cards and its design is intended for home and office use. It supports high speed smart card applications which include Public Identity Verification (PIV), Physical and Logical Access Control, Digital Signature, Online Banking, and others. ACR3801 supports a wide variety of smart cards, including ISO 7816 Class A, B and C (5V, 3V, 1.8V) smart cards and microprocessor cards with T=0 and T=1 protocols, common memory cards, and the U.S. Department of Defense Common Access Card (CAC). Further, it has PC/SC and CCID compliance that allows for its easy integration into existing and/or future smart card-based systems. A smart card reader that does not compromise look for performance, ACR3801 is a heavy-duty reader built for demanding smart card operations.